I have been in the church my whole life, but was technically a convert at age 13. My husband and I were married in the Lubbock, Texas Temple just over six months ago. We are both full time students at nearby colleges. Being with my husband and feeling the Spirit. 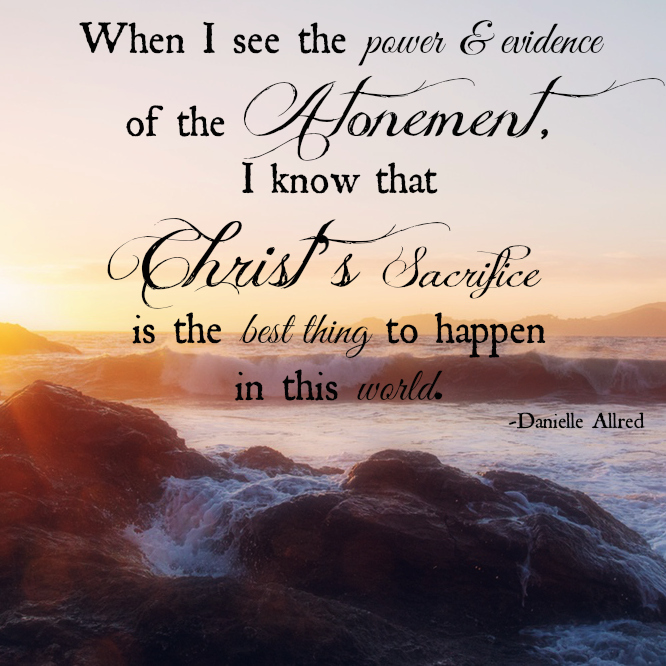 When I see the power and evidence of the Atonement, I know that Christ’s sacrifice is the best thing to happen in this world. One of my spiritual gifts is to be a teacher. At first, I thought this meant as a profession. Little did I know, the Lord was working for me to go in another direction. He would have me be a spiritual teacher, currently to the young women in our area. I learn more every time I teach someone than if I were just listening. I know when my prayers have been answered because I get a certain feeling. It’s a feeling of calming and reassurance. Also it can be like a “click” that happens. My parents divorced when my sisters and I were young. Because my mom was LDS and my dad was Catholic, they decided they would let us choose the church of our choice. In my teens, I realized my testimony of this church. My sisters and I fought for our dad’s permission in order to be baptized. After much fasting and praying, his heart was softened and we were allowed to do so. To share and live the Gospel I try to be an example. I try to live my life in a way that is pleasing to Heavenly Father that others around me can see. I’m proud to be different and stand up for what is right. I wish all women throughout the world know how special and beautiful they are. Heavenly Father deeply cares for His daughters. The world doesn’t know of our greatness and potential, but He does and is helping us to be just that. My greatest accomplishment is coming out of the depths of sin by using the Atonement of Christ. Many people, especially my husband (who was my friend at the time), helped me to do what I needed to in order to get right with God. That time in my life was very difficult, but I made it through with the love and mercy of Christ.